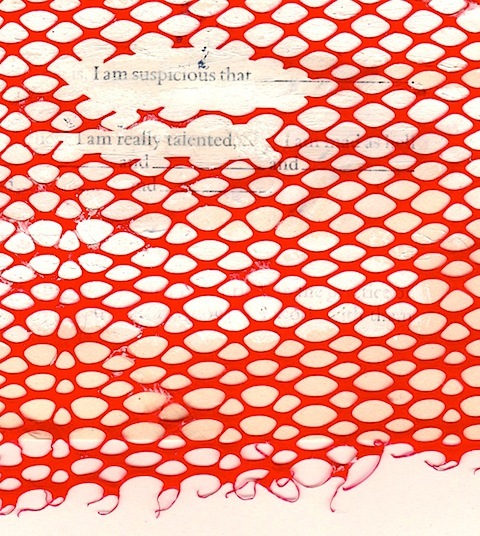 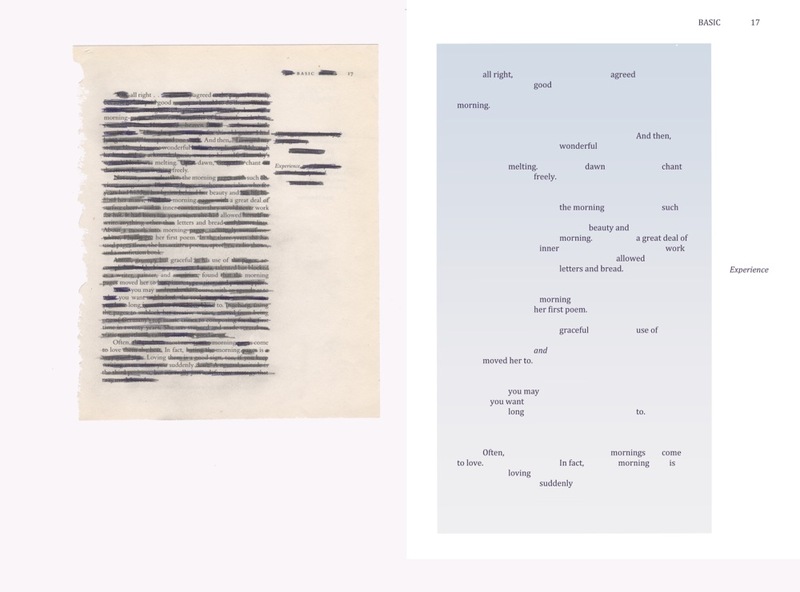 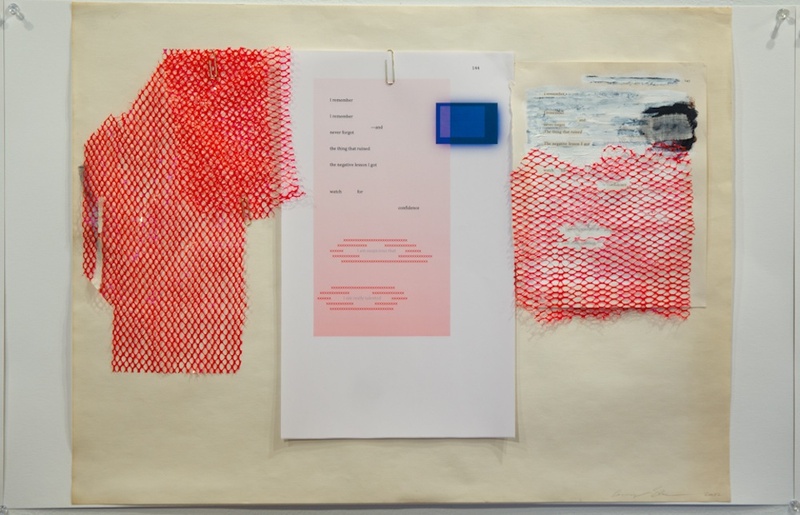 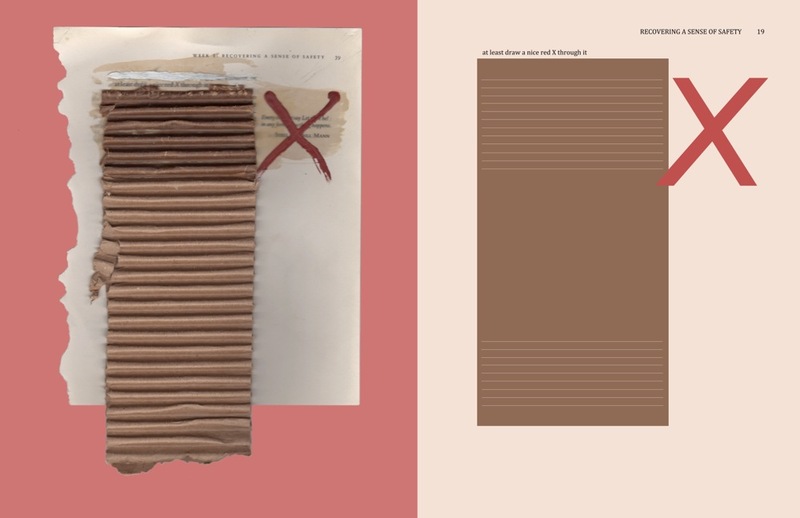 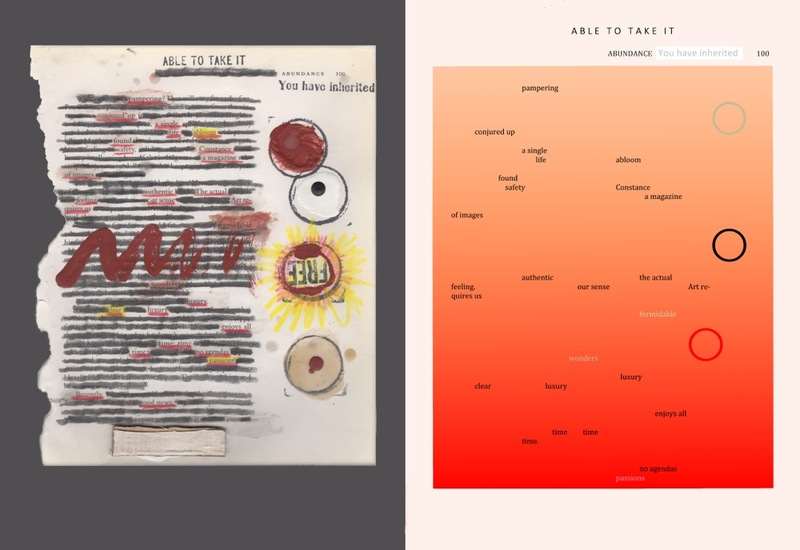 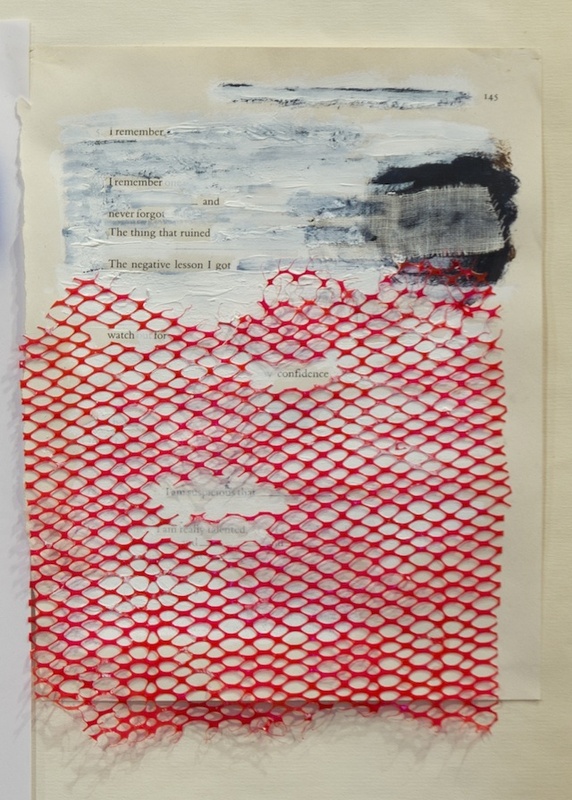 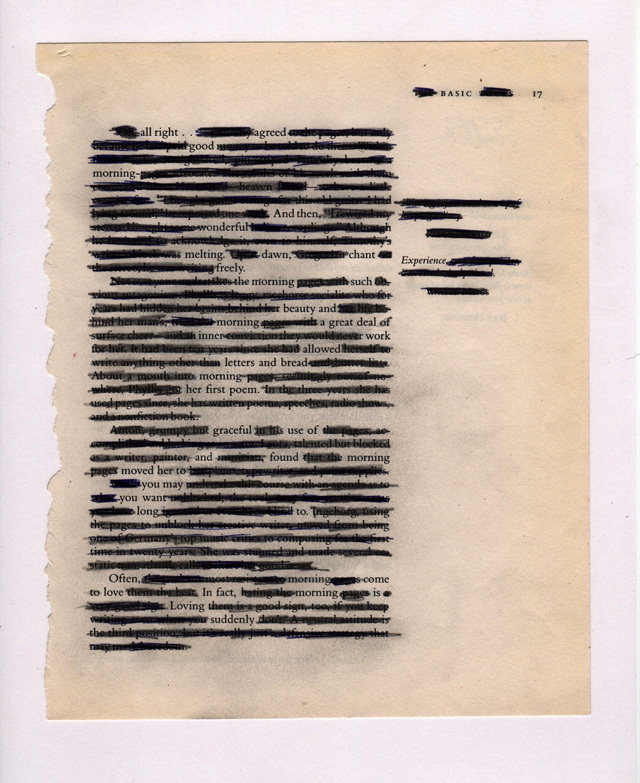 As poems, redactions, and multi-media works, these pieces convey meaning, reveal process, and investigate the connection between writing and drawing. 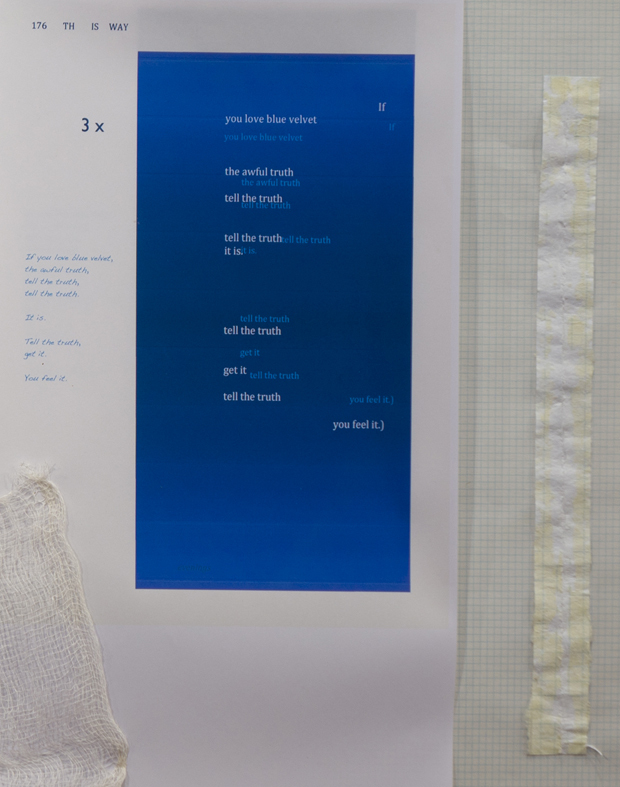 Below are a few of the individual pages (there are 25 in all) and some installation shots of the “scroll” exhibited at The Lichtenstein Center in Pittsfield, MA. 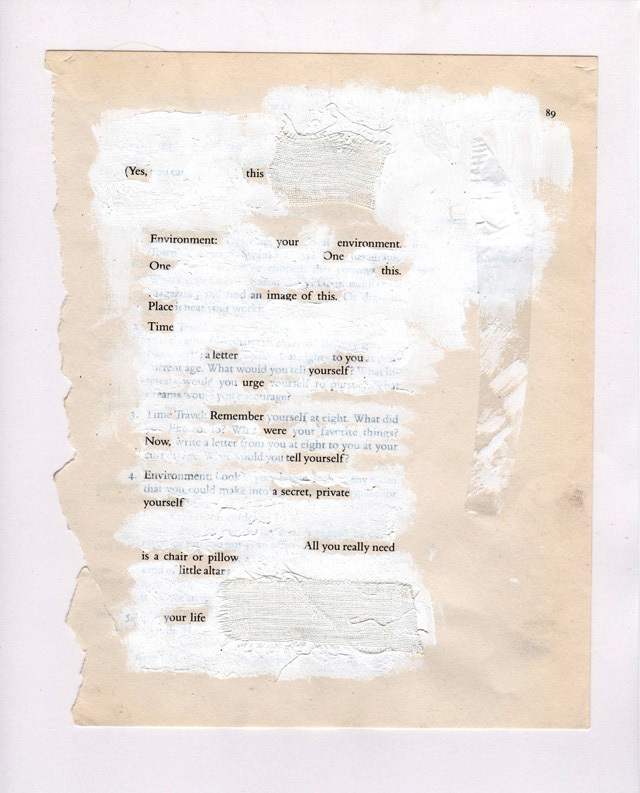 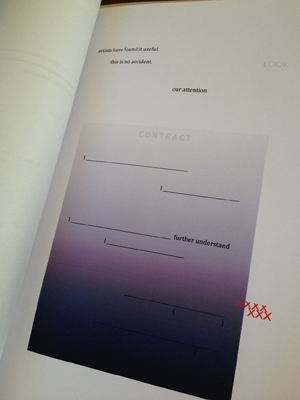 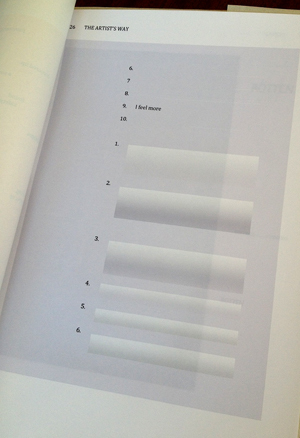 Also shown are examples of the typographic iterations I did of each altered page. 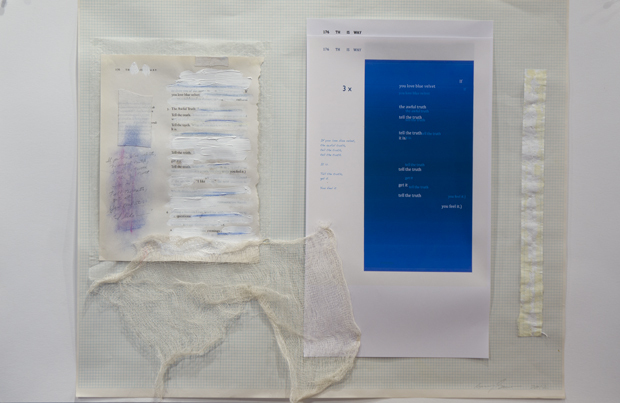 These were part of the installation and also exist separately as handmade book. 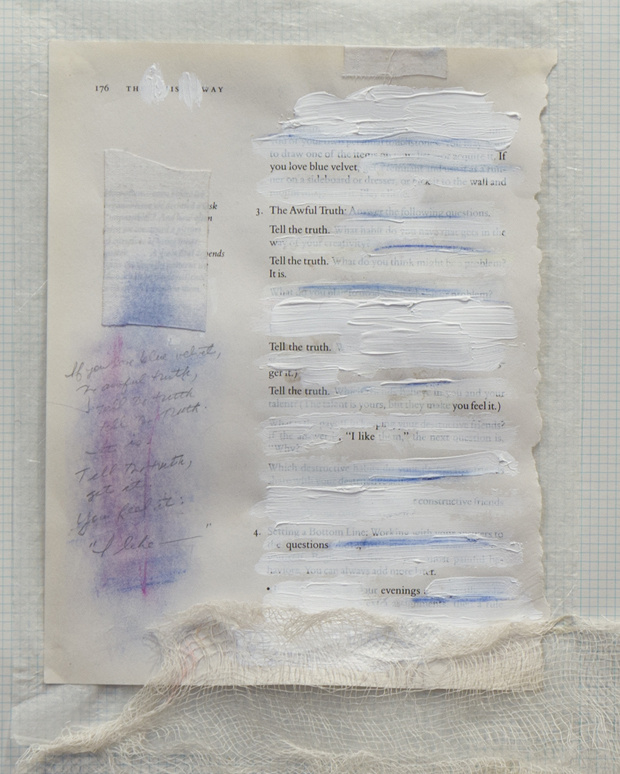 Work from this series was featured in Yew Journal, March 2014 and in the book, Splitting the Genre: An Intersection of Poetry and Art (Six Arrow Press 2014). 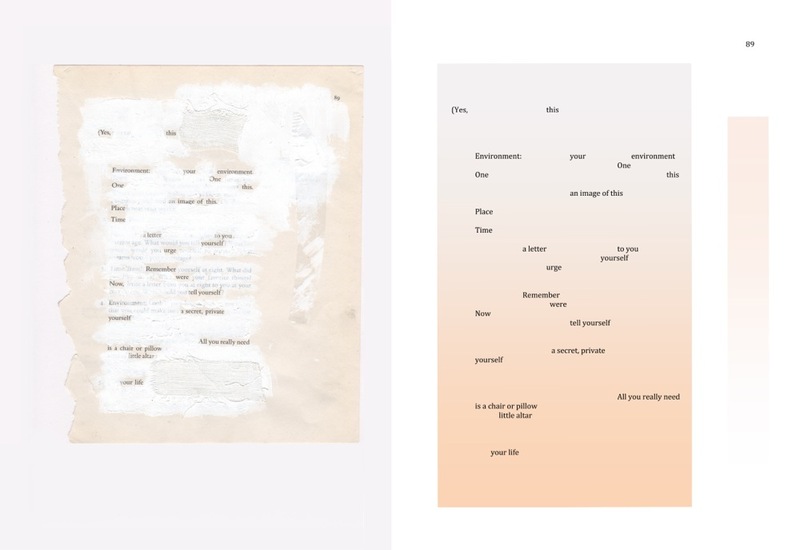 In 2016, the typographic iterations were published in e-book form under the title Unseen Avenue (Argotist Ebooks).